So you’ve seen my PERFECT Classic Cheesecake recipe. And I let it slip just a bit that I would be using that recipe for a special graduation treat for my beloved nephew. Well, this still isn’t the post for that. BUT! 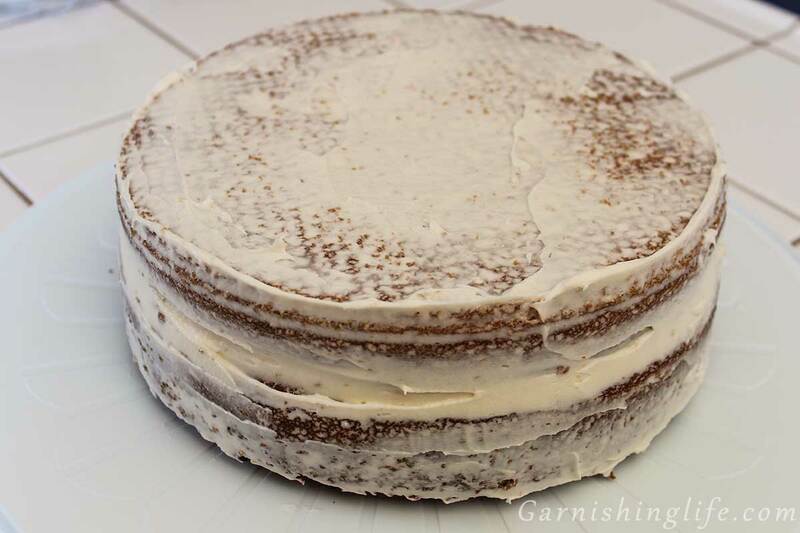 This post will introduce you to my Rich Vanilla Cake, which also played a part in the special cake surprise I have coming up. 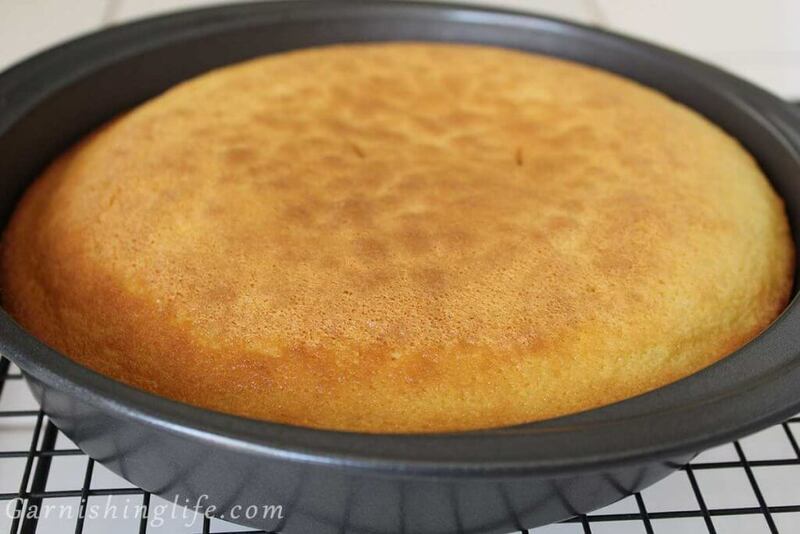 This is almost a white cake, but I use 3 whole eggs and 1 egg white, so it’s a vanilla cake! I like to use Jell-O Cook & Serve Puddings in a lot of my cake recipes, this yields a cake so moist, you almost double take to make sure it’s done. As I’ve said before, I was the resident baker for my family for the longest time. Birthdays, parties, graduations. And my nephews would ask for some very specific, very difficult subject matter. I’ve made Star Wars Legos in a Mud Pit, a Pig Farm with Bacon Bodies, and one of my favorites, a Super Nintendo Theme. And for many of these cakes, I would use a vanilla base cake. Plus different kinds of fillings and frosting flavors. This Rich Vanilla Cake is a great place to start. Where do we start? Why, we preheat the oven… 350°. Making sure to use room temperature, soft butter, cream in mixer with sugar. I consistently will stop the mixer to scrape the sides of the bowl with a spatula. Don’t forget a splash guard – mix in eggs one at a time. Keep it on low. Again, keep scraping the sides and add vanilla. In a measuring cup (1 cup size or larger), pour the tablespoon of lemon juice. Now, these next 2 steps you want to move a bit more quickly as the concoction can get a little chunky as it sits and you want to maintain a smooth liquid mixture. First, pour milk over the lemon juice and stop at the ½ cup mark. The measuring is a bit odd because the amount of milk is ½ cup minus 1 tablespoon. The total amount you measure with the milk and juice is going to equal ½ cup. 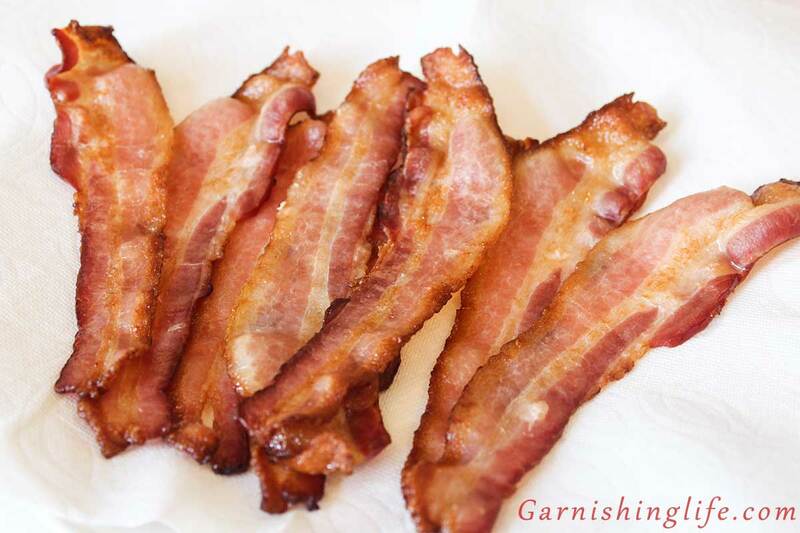 Pour this into a small bowl. Quickly, but gently, stir baking soda into the lemon-milk mixture and then pour into the cream mixture. The dry ingredient step you can really throw in anywhere before this point. Sometimes it’s the very first thing I do. Check out the Recipe Notes section below to see the difference between flour, sifted and sifted flour. In a bowl, whisk the sifted flour with the pudding mix, salt and baking powder. Give it a good stir so that it’s nice and airy. Before adding the flour to the mix, I will start my water on the stove so that it is boiling when I’m ready for it. One spoonful at a time, add the flour mixture to the cream mixture while mixing on low. I allow each spoonful to incorporate before adding more. Keep the mixer going as you continue to add the flour mixture. Don’t forget to stop and scrape the sides if flour builds up on the bowl. And last, you add the boiling water. This will activate that pudding in the flour mix and make it sooooo moist and rich. Mix thoroughly to combine, but don’t overmix. Once it’s all combined, you’re good to stop. 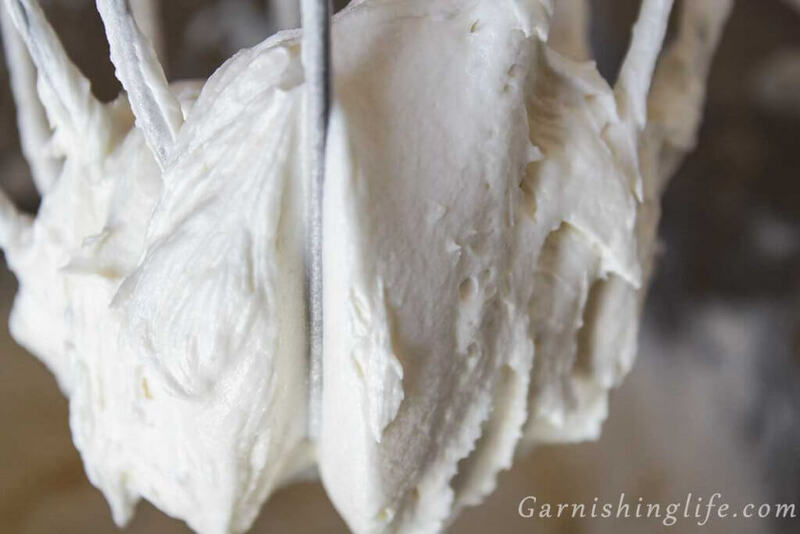 The batter will look very runny, even a bit watery, but don’t let this discourage you. It comes together in the end! Pour your batter into your prepared pan or cupcake tin. Put it in the oven, and have a drink while you wait! Remember to cool completely before frosting or filling. And the frosting my friends, is the Garnish. Of Course! 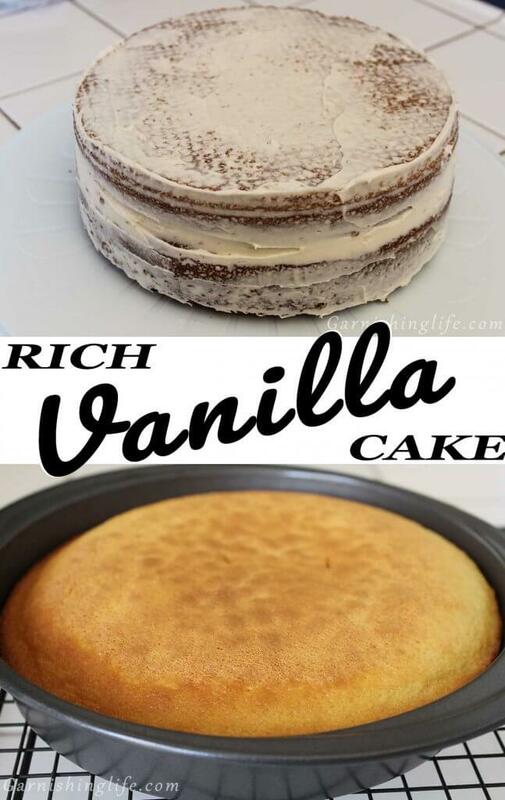 Be sure to check out my other recipes for frostings and fillings to pair with this Rich Vanilla Cake! For sweet and light, I like to go with a Pastry Crème or homemade whipped cream filling and a Light Buttercream Frosting. Pour lemon- milk mixture into small bowl. 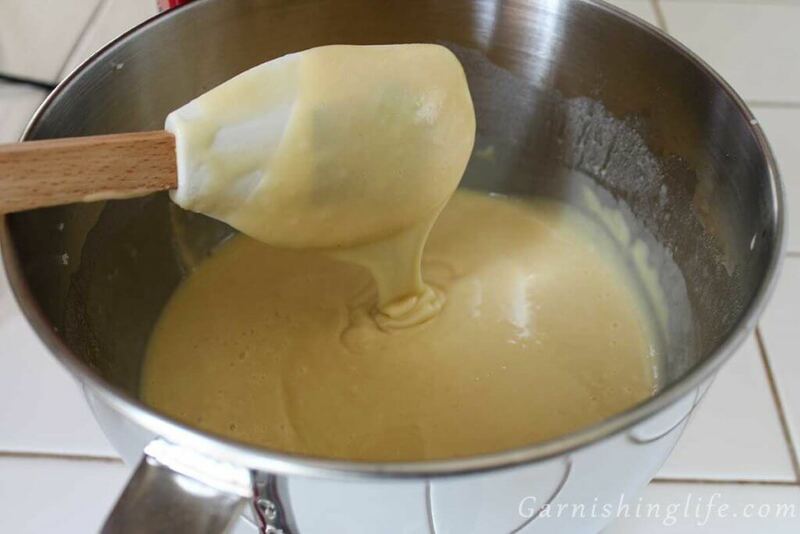 Add the flour mixture to the cream mixture, one ladle at a time. 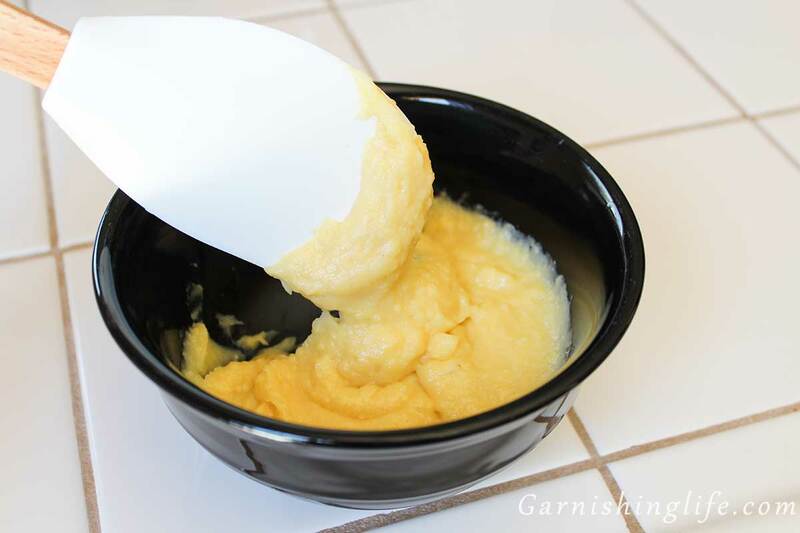 Allow each spoonful to incorporate before adding another- but be careful not to overmix. Mix in boiled water, just until blended. Pour into greased cake pan or lined cupcake pan. Remove from oven and cool completely before frosting or filling. If a recipe calls for 2 cups of “sifted flour", you sift, then measure. 2 cups of “flour, sifted” means that you measure 2 cups of flour, and then sift. The placement of the “sift” in the ingredients is your clue as to what step you sift the flour. If it says sift first, you sift then measure! “Pre-sifted Flour” at grocery stores will still settle as it sits on the shelf. I hate to break it to you, but it’s still going to need to be sifted! For a closer to white color, use clear vanilla extract. 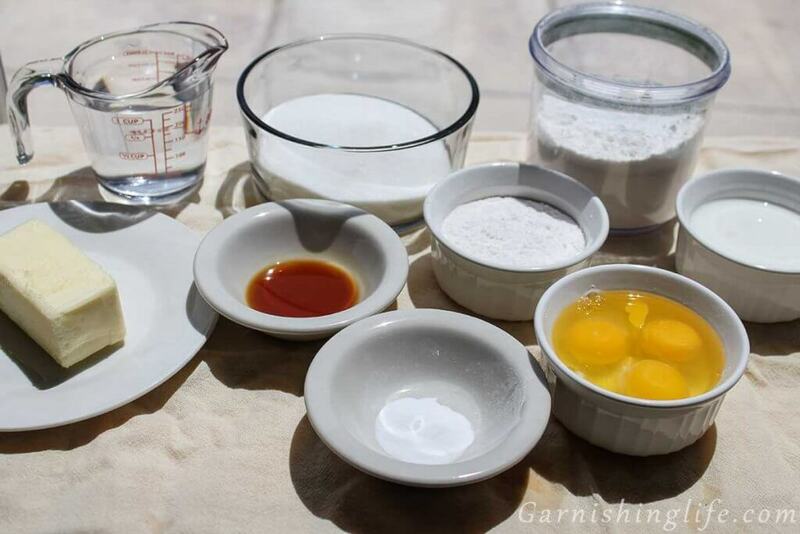 I use the normal extract, and that plus egg yolks leaves me with a fairly light, off-white colored cake. Leftovers? Refrigerate in an airtight container for up to 1 week. To freeze, wrap in plastic wrap and store in airtight container or freezer bag for up to a month. If frosted, I don’t recommend freezing as frosting can condensate during the defrost.